Neil is serving as the elected President of the Khronos Group where he created and chaired the OpenGL ES working group that defined the industry standard for 3D graphics on mobile devices. At Khronos he also chairs the OpenCL working group for portable, parallel heterogeneous computing, helped initiate the WebGL standard that is bringing interactive 3D graphics to the Web and is now working to help formulate standards for vision and neural network inferencing. Neil Trevett is also Vice President of Developer Ecosystems at NVIDIA, where he is responsible for enabling and encouraging advanced applications to use GPU acceleration. 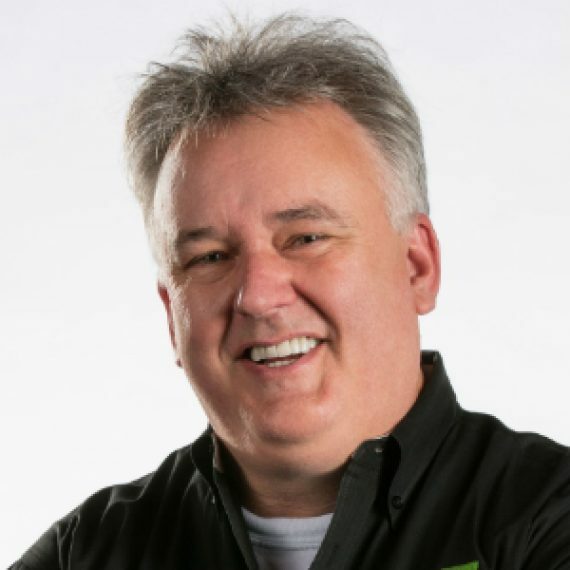 Previously, as Vice President of 3Dlabs, Neil was at the forefront of the silicon revolution bringing interactive 3D to the PC, and he established the embedded graphics division of 3Dlabs to bring advanced visual processing to a wide-range of non-PC platforms. Neil was elected President for eight consecutive years of the Web3D Consortium dedicated to creating open standards for communicating real-time 3D on the Internet. Neil graduated from Birmingham University in the UK with a First Class Joint Honors B.Sc. in electronic engineering and computer science and holds several patents in the area of graphics technology.